The mural Dream of a Sunday Afternoon in Alameda Park by Diego Rivera must be one special piece of art because an entire museum was built just to house this one painting. Yes, this museum has more than just the mural, as they put on rotating exhibitions by other artists, but the whole impetus of the thing was to protect and honor this infamous Rivera mural. When the Hotel del Prado was being built between 1933 and 1946, the architect Santacilia Carlos Obregon commissioned Rivera to paint a mural in the dining room. The theme was the Alameda Central because of the hotel’s proximity to this important park. Later this mural was moved into the lobby of the hotel for reasons unknown, but whoever's idea it was must have had a bout of premonition because the restaurant that housed the mural originally was completely destroyed in an earthquake. Yet the lobby somehow survived the tragedy. 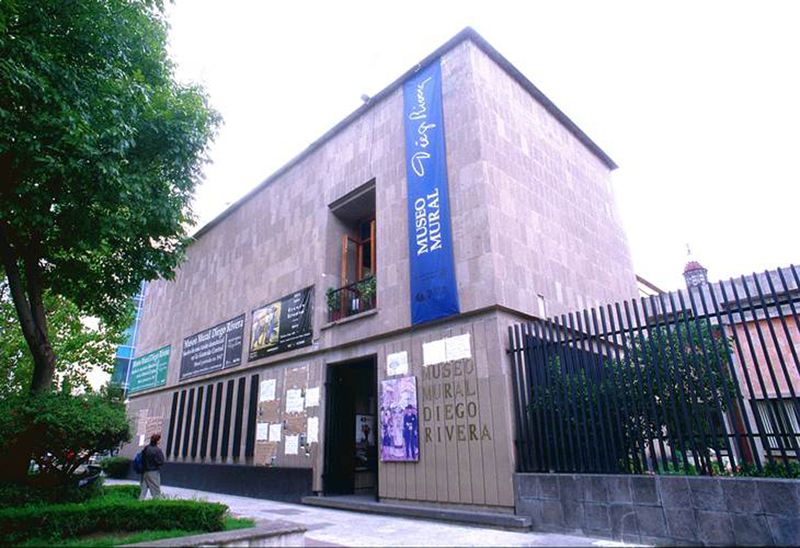 After the earthquake, the idea for the Museo Mural Diego Rivera was born, and just three years later this mural made its way to its permanent home, just across the street from the hotel. When originally unveiled, this mural caused quite the scandal. Rivera had written the phrase “God does not exist” on as part of the mural. The result was that the archbishop refused to bless the hotel and a group of conservative students attempted to scrape the phrase off the wall. Rivera eventually changed it because of all the flack he caught; needless to say, many people still reject this piece for the blasphemous message it once contained.